Criei o Clube do Cenário 3D Model Brasil. Fora os mais de 47 já postados, são mais de 35 cenários inéditos para as 3 plataformas (FSX, P3D, Xplane) que nunca foram postados pelo espaço limitado do site e para beneficiar os Membros colaboradores do clube. Seja um Membro Vitalício(Lifelong) escolha o melhor para você! As we all know, for a free website to be self-sustaining and to remain many years, it depend´s basicly on donations. I came up with the idea of creating a club so that I can have something to offer instead of unilateral donations. I have been accumulating many projects over the last few years and I have more than 70 scenery in my bank, but only half of them is available because of the space and not to get long and boring. I offer access to these projects not posted to those who are willing to Join and help with the idea of keeping the site online. This way everyone is benefited, both the site and the Member associated to the club. Besides 47 available here, I offer 35 extra scenery for the members. The benefit of being a South American Airports Criative Club Member is that you can choose and participate directly in a project with your favorite airport. 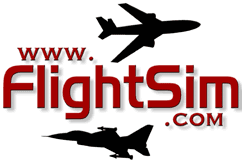 Scenery fix and repair, merge or creation of private hangars (Virtual Airlines Hangar). Also Free Access to the SAA Scenery Bank (more than extra 35 scenery that were never posted) and receiving first-hand latter scenery releases. Contribuições Anuais Annuity 5 US$ Thank you for your Participation. Uma única Contribuição para toda vida (Membro Vitalício do clube) 30 US$ (1 time payment Lifelong) Thank you for your Participation.